Great progress has been made on the construction of 688 Broadway, 1 Great Jones Alley. 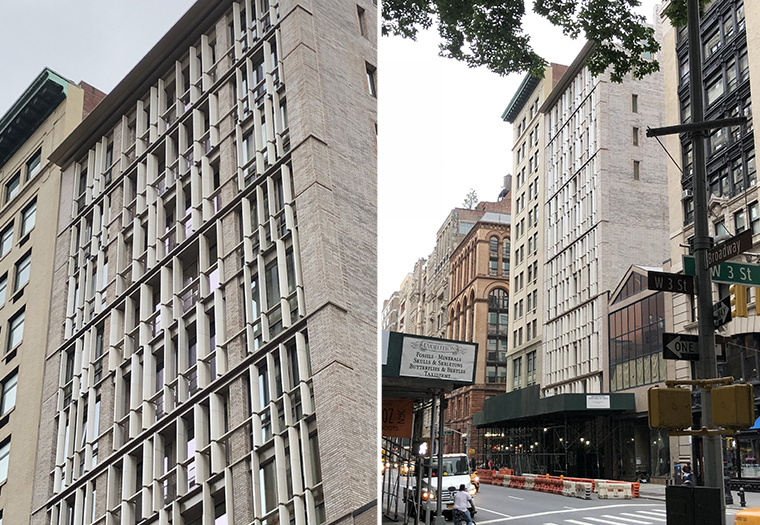 The 12-story, mixed-use building owned by Madison Reality Capital is located in New York’s NoHo neighborhood — with commercial storefronts at 688 Broadway and a private, gated entranceway for residents at 1 Great Jones Alley. The structure was designed by BKSK Architects with the essence of the historic NoHo neighborhood in mind. They were tasked with creating a building that refers to materials of the past, using the innovative approaches to building design that define architecture today. 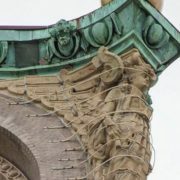 The outer façade is comprised of a combination of brick and metal work, accentuated by vertical terra cotta fins manufactured by Boston Valley Terra Cotta. 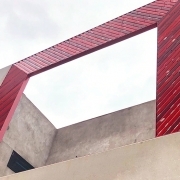 This particular application of architectural ceramics is exemplary of our TerraClad® Sunshade, created through the extrusion forming method. 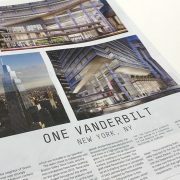 Boston Valley has manufactured a similar TerraClad® façade with vertical fins previously for One Madison in New York City, also designed by BKSK. 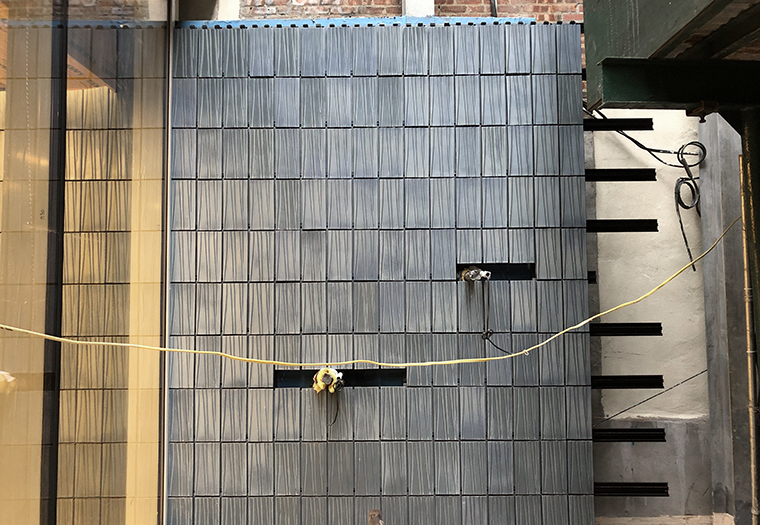 The vertical fins on 688 Broadway feature a custom glaze formulated by prolific glaze artist, Christine Jetten, who has worked with Boston Valley on numerous projects. 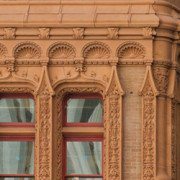 She has created façade ornaments for Poptahof, and custom glazes for 175 Park Avenue and Seaside Community Arts Center/Ford’s Amphitheate. 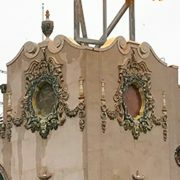 Seaside is a unique and complex restoration, which involved 32 different custom glazes to faithfully recreate the vibrant colors of the former Childs Restaurant in Coney Island. The outer façade on 1 Great Jones Alley, 688 Broadway, faces outwards to the busy streets of the lower Manhattan. 1 Great Jones Alley includes an additional architectural terra cotta wall, located at the private entranceway for building inhabitants. 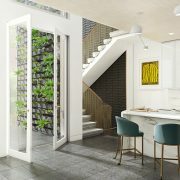 The custom glazed TerraClad® Rain Screen is a unique feature designed by ceramic artist, Anne Currier. 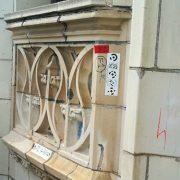 The tiles were manufactured using the RAM Press forming method and specifically arranged by the artist herself. 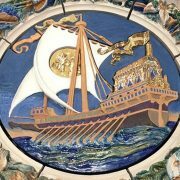 Currier’s working relationship with Boston Valley Terra Cotta has resulted in numerous architectural collaborations, such as the Miller Theatre tile wall and most recently: Continuum, dual facing wall sculptures currently being shown at the Burchfield Penney Art Center. Both parties benefit from this collaborative relationship — the artist’s vision is realized with the production capabilities of an international manufacturer for architectural ceramics, and in turn Boston Valley is able to offer unique products to the architectural market. 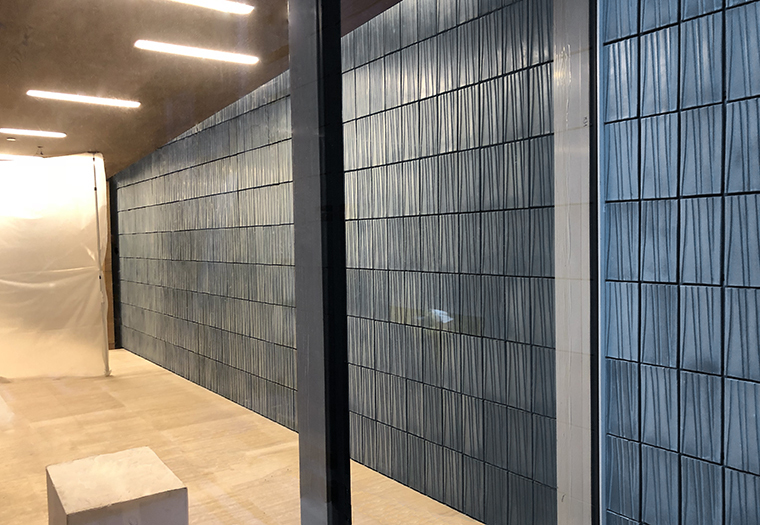 Anne Currier’s tile wall is featured at the entranceway for building inhabitants, providing the luxurious backdrop for 1 Great Jones Alley. Construction on 1 Great Jones Alley is expected to be completed soon, check back for our next update. Read our previous blog post about 688 Broadway, 1 Great Jones Alley, here.